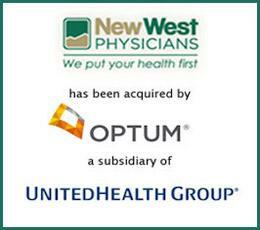 New West Physicians, PC (New West) has been acquired by Optum, Inc. (Optum), a subsidiary of UnitedHealth Group (NYSE: UNH). New West, one of the largest physician practices in the Denver area, provides primary care services to over 200,000 patients through 120 healthcare providers. Best known for their population health initiatives, the New West team has developed a model that caters towards the complete continuum of care for patients which earned the organization the American Medical Group Association Acclaim Award in 2015. Provident Healthcare Partners served as exclusive financial advisor to New West. “New West has emerged as the leading provider of primary care services across the nation, as their comprehensive care model is a premier example the group is years ahead of the rest of the industry. The New West team will undoubtedly serve as an invaluable resource to Optum and their affiliated medical groups, and Optum will aid the company in their next phase of growth,” noted Michael Fassett, Analyst at Provident Healthcare Partners. “The New West transaction follows a trend we are seeing across the primary care space, as payment models venture further towards value-based methodologies and providers look to align with larger strategics and private equity organizations that offer capital for expansion and leverage in contracting with payers,” commented Kevin Palamara, Managing Director at Provident Healthcare Partners. In addition to primary care services provided in both outpatient and inpatient settings, New West supplements patient care through its Behavioral Health Center, Diabetes and Nutrition Center, Clinical Research Center, Neurology services, Endocrinology services, Gastroenterology services, and its Vascular and Cardiology Program. For more information, visit www.nwphysicians.com. OptumCare, a division of Optum, serves more than 9 million consumers through a network of diverse health services that includes 14 physician-led, locally operated, ambulatory health care groups. OptumCare’s network includes more than 17,000 primary care providers and specialists, contracts with 43 health plans and partners with 47 hospitals. For more information, visit https://www.optumcare.com/.